When you make your own homemade yogurt you can be sure that it’s completely natural, with no additives or preservatives that can alter its quality. Have you ever made your own yogurt at home? If the answer is no, we’re here to tell you that it’s an easy and inexpensive process that won’t take long at all. Plain yogurt is rich in nutrients and very healthy for your body and even benefits your beauty routine. 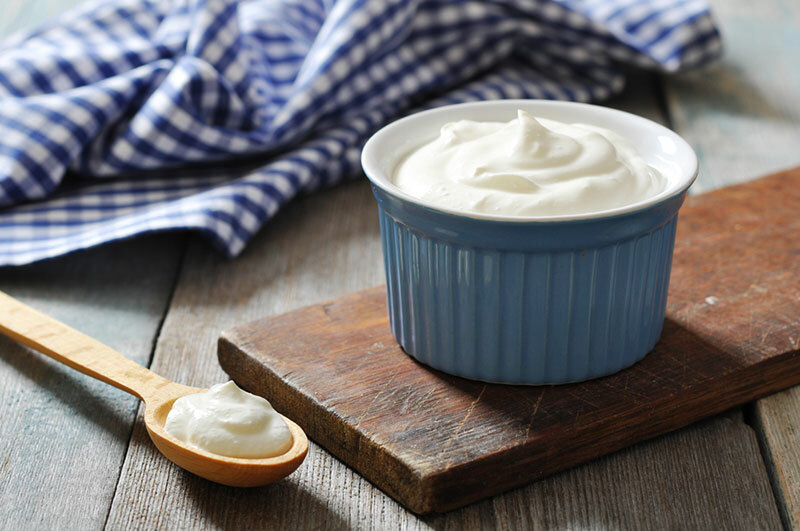 If you’d like to learn how to make your own homemade yogurt, check out the following recommendations and step by step recipe so you’ll be ready to start tomorrow. Making yogurt at home is very simple, it doesn’t require special utensils, it’s fast, and with practice it’s incredibly easy. 1. Start by setting aside the amount of milk you desire, according to the quantity of yogurt you’re planning to prepare. You should never choose low fat or fat free milk, unless you have a health reason to avoid consuming milk fat. 2. Sterilize the glass containers by boiling them along with their lids for approximately 10 minutes. 3. Measure out a tablespoon of the plain yogurt into each of the bottles. For reference, for every pint you intend to make you’ll need one tablespoon. 4. Heat the milk over a low heat until it reaches 185° F, stirring frequently with a clean spoon to prevent it from sticking to the bottom of the pot or burning as it is heated. This should take around 10 minutes, but be sure to stay alert. 5. Remove the milk from heat and allow it to cool to 113° F. This should take another half hour or so. If it falls to below that temperature, put it back on the heat until it has warmed to 113°. 6. Pour the milk into the glass containers, trying to fill each one as much as possible so that there is very little air remaining in them. 7. Stir the contents of each container so the yogurt is mixed with the milk. 8. Put the tops on the containers and store them in a place where they will stay warm. You can wrap them in newspaper or place them in a box with a blanket around them. Let them sit overnight without stirring in a warm place. 9. Remove the containers from storage and let them stand 10 minutes before putting them in the refrigerator. 10. Leave the yogurt in the refrigerator for four hours, or until it has thickened completely. Ideally you should let it sit for two days. It’s easy to digest, which is why people who are lactose intolerant can usually consume it without difficulty. It’s ideal for fighting infections in the digestive system because it contains hundreds of millions of live bacteria that are packed with B-complex vitamins. Its compounds help stabilize the intestinal flora and microorganisms in the digestive system. The bacteria convert lactose into lactic acid. It’s recommended for people with diarrhea or problems with constipation because it fights the effects of harmful bacteria in the intestines (which almost always come from the food you eat). It contains calcium, magnesium, and phosphorus, essential minerals for healthy and strong bones. It can help lower cholesterol, promote the absorption of fats, and alleviates the negative side effects of certain antibiotics. It’s great for the health of your skin because it adds softness, promotes regeneration, and contributes to better health and beauty. It acts as an exfoliant, able to deep clean your pores and remove dead skin cells. Several studies have found that regular consumption of plain yogurt could help reduce the risk of vaginal infections. In fact, you can apply this product directly to the vaginal area to fight yeast infections. Yogurt contains the same amount of potassium as a banana and the same amount of protein as one egg or 30 grams of meat. Regular consumption of homemade yogurt could also help strengthen your immune system.